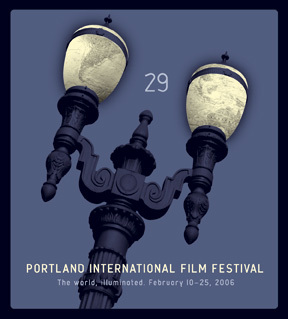 The 29th Portland International Film Festival wrapped up its 16 day run Sunday, February 26 after screening 67 features and 50 shorts from 35 countries to more than 31,000 Festival attendees. Enthusiastic audiences voted Radu Mihaileanu’s LIVE AND BECOME (France/Israel) Best Feature, followed closely by Gavin Hood’s Oscar-nominated TSOTSI (South Africa) and Marc Rothemund’s Oscar-nominated SOPHIE SCHOLL: THE FINAL DAYS (Germany). Ward Serril’s THE HEART OF THE GAME (US) emerged with the Best Documentary prize while Sarah Watt’s debut feature LOOK BOTH WAYS (AUSTRALIA) won the New Director award. Oregon filmmaker Peter Richardson’s documentary, CLEAR CUT: THE STORY OF PHILOMATH, OREGON placed ninth overall in the audience balloting. Topping the Short Film Awards was Rob Pearlstein’s OUR TIME IS UP (US), followed by Rob Burke’s JELLY BABY (Ireland) and Henry Sellick MOONGIRL, produced by Portland animation studio Laika.